Title NoteTitle based on subject of fonds. Administrative/Biographical HistoryGeorge Szasz (CM, MD) is a Hungarian Jew, born in 1929 in Szeged, Hungary. He immigrated to Canada in 1947 and ended up in Vancouver, BC. He was admitted to medical school at UBC in 1951 and worked as a physician and teacher of medicine. In December 1955, Szasz married Elizabeth Wilma Harkness; they had two children. Szasz served on the Library Committee of the College of Physicians and Surgeons from 1962 to 2000. George’s older brother, Peter, was best friends with Frank Orban; Frank would regularly visit the Szasz family home in Szeged. Szasz is a professor emeritus in the Faculty of Medicine at UBC, an honorary member of the College of Physicians and Surgeons of BC, a member of the Order of Canada, a recipient of the Queen’s Golden Jubilee medal and of the Queen’s Diamond Jubilee medal. 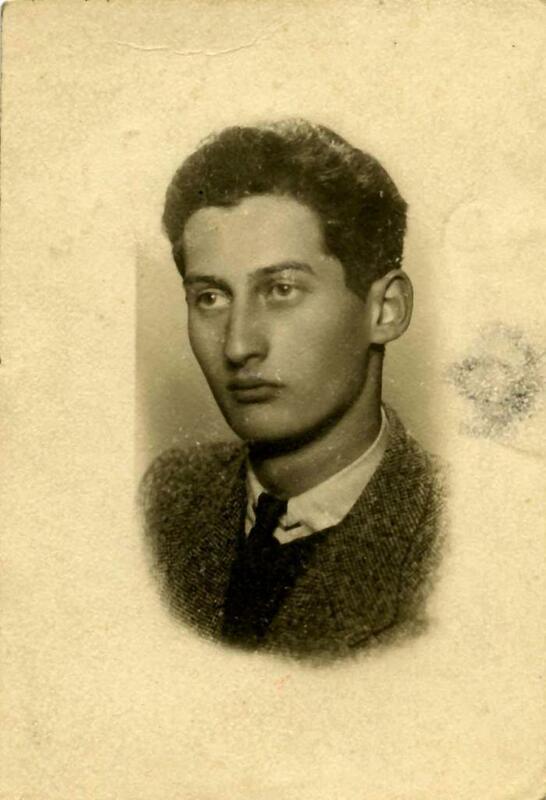 Frank Orban, née Ferenc Ornstein, (b. September 16, 1923, Szeged; d. September 17, 2005, Vancouver) was born into an affluent Jewish family in Hungary. In 1944, his parents, Lipot (b. July 15, 1893 in Felsővist (in Fogaras county, Romania) or Felsőviznice (in Bereg county, Ukraine); d. April 13, 1945, Göstling an der Ybbs, Austria) and Olga Ornstein, née Schwartz (b. October 27, 1893, Novi Sad (Újvidék), Serbia; d. April 13, 1945, Göstling an der Ybbs, Austria), were forced out of their apartment with only a suitcase; they were first sent to the Jewish ghetto in Szeged, a three-block area surrounding the town’s synagogue and school. That same year, Frank Orban, with his friend Peter Szasz, was sent to a forced labour camp in Hungary. Frank’s girlfriend at the time, Eva, was a non-Jewish Hungarian; she kept hidden some of Frank’s family’s possessions, including documents and photographs. Lipot and Olga Ornstein were deported to Göstling an der Ybbs, Austria, in June 1944, and were killed by German soldiers in April, 1945, just as the war was ending. Frank was discharged from forced labour service in July, 1946. Frank changed his last name to Orban on October 28, 1946, while living in Israel, where he spent a few years before moving to Greece. Orban met his wife, Harriet (née Charieliea Vallits), while he was station manager for EI AI Israel Airlines in Athens, Greece, circa 1950. They married in the registrar’s office of the Metropolitan Borough of St. Marylebone, London, in 1954. Scope & ContentFonds consists of postcards, photographs, identity, work and personal documents produced or received by Frank Orban relating to his family, work and life in Hungary, Israel, Greece and Canada. Fonds has been arranged into the following series: Postcards series (1944), Photographs series ([191-]–2005), Personal records series (1938–2005), and Compensation correspondence series (1998–2004). Immediate Source of Acquisition or TransferRecords were kept by Frank Orban until his death in 2005, after which they were in the custody of George Szasz, as administrator of Orban’s estate. Szasz donated Frank Orban’s records to the VHEC in 2018. NoteSee research file for information about George Szasz, and for notes on the history of Jews in Hungary and the Ornstein family as recounted by George Szasz in June, 2018. See also donor audio interview with George Szasz recorded July 20, 2018. Not all items in this collection have been digitized or described. Some records were digitized and scans used as representative media representations of collection- and series-level descriptions. Consult the archivist for more information. System of ArrangementFonds has been arranged into four series by the archivist. Arrangement into series reflects the nature and scope of records. Archivist's NoteFinding aid prepared by Shyla Seller in October 2018, with assistance from Lorenzo Camerini. Revised February 2019 with item-level descriptions.